It’s true. Apple used the space freed up by removing the headphone port to add a Taptic Engine under the hood, as well as a second speaker to the bottom of the device. The company says this will give you stereo sound, and the speakers did sound louder, but the busy demo area was just too crowded and noisy to properly evaluate how much of a difference the second speaker makes. In fact, during my limited hands-on time after Apple’s September 7 event, I found the iPhone 7 ho-hum—it’s faster and it’s got a better camera, but a lot of the changes (the new Home button, the dual speakers) are too subtle to make much of a first impression. About that Taptic Engine, for example—it’s there to enable a completely flush, motionless Home button. One of the rumors about 2017’s iPhone is that Apple may ditch the Home button, embedding it in the screen instead. For the iPhone 7, Apple kept the “chin” at the bottom of the device, with the Home button and its shiny Touch ID ring in their familiar place. But the button no longer physically moves up and down. Instead, you press it and get a little vibration of haptic feedback so it feels like it’s going down. The Home button sits flush with the case. This is similar to the Force Touch trackpad in the 12-inch MacBook, which doesn’t physically click but still mimics what a click should feel like. As on the Mac side, iOS developers will get access to the Taptic Engine for building more subtle vibration effects into their apps, reacting to your touch. In my hands-on time at the event, the new Home button felt pretty odd to click, with a split-second lag before I felt anything. Two of Apple’s demonstrators mentioned that it takes a little adjustment before it feels normal. Luckily, there’s a setting where you can customize the haptic feedback somewhat. 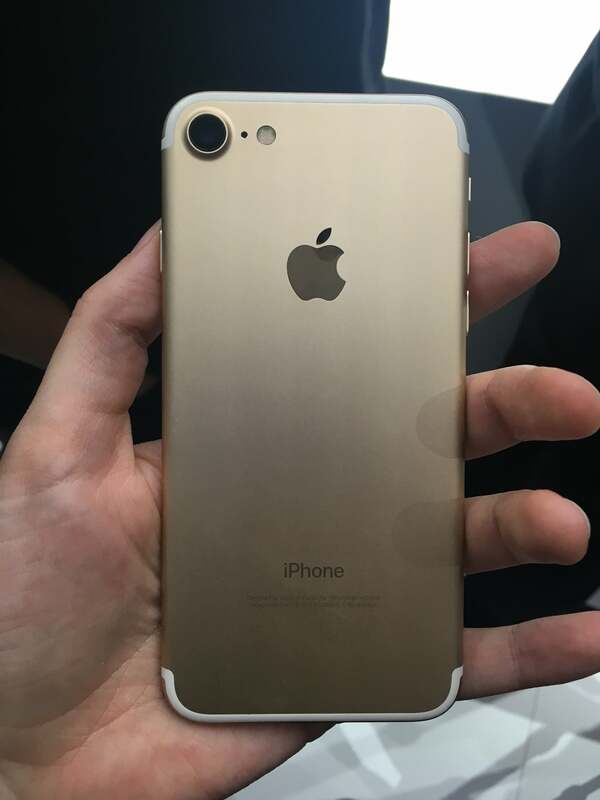 Physically, the iPhone 7 and 7 Plus are the same size as their predecessors, the iPhone 6s and 6s Plus. 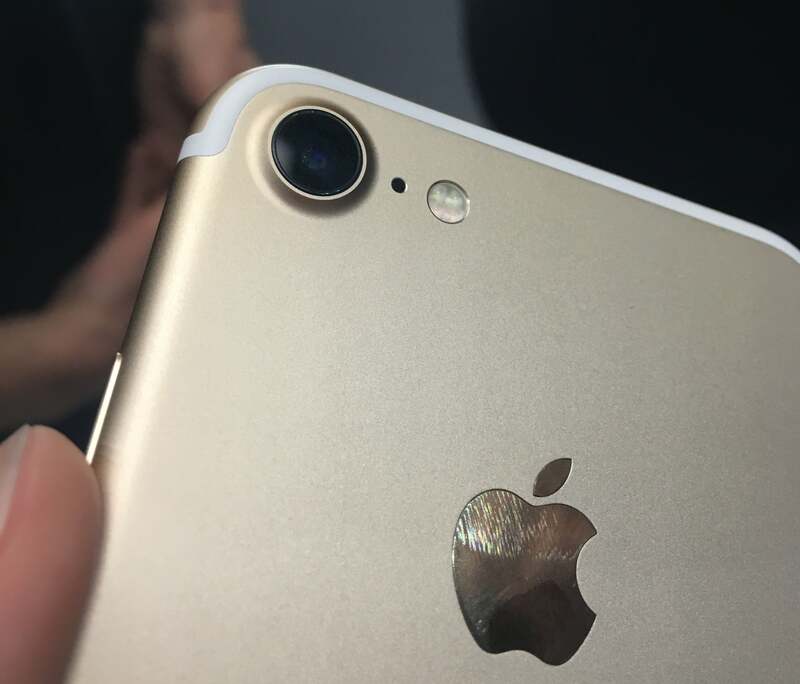 But don’t expect any iPhone 6 or iPhone 6s cases to fit an iPhone 7, because the camera lens on the back is a lot bigger than it used to be, and so is the TrueTone flash. Similarly, iPhone 6 Plus and 6s Plus cases almost definitely wouldn’t fit an iPhone 7 Plus, since that device has a dual-camera setup I’ll explain a bit later. New cases all around. The camera and flash are a lot bigger, so 6s cases won't fit. If you can stomach slapping a case on your new phone in the first place, that is. 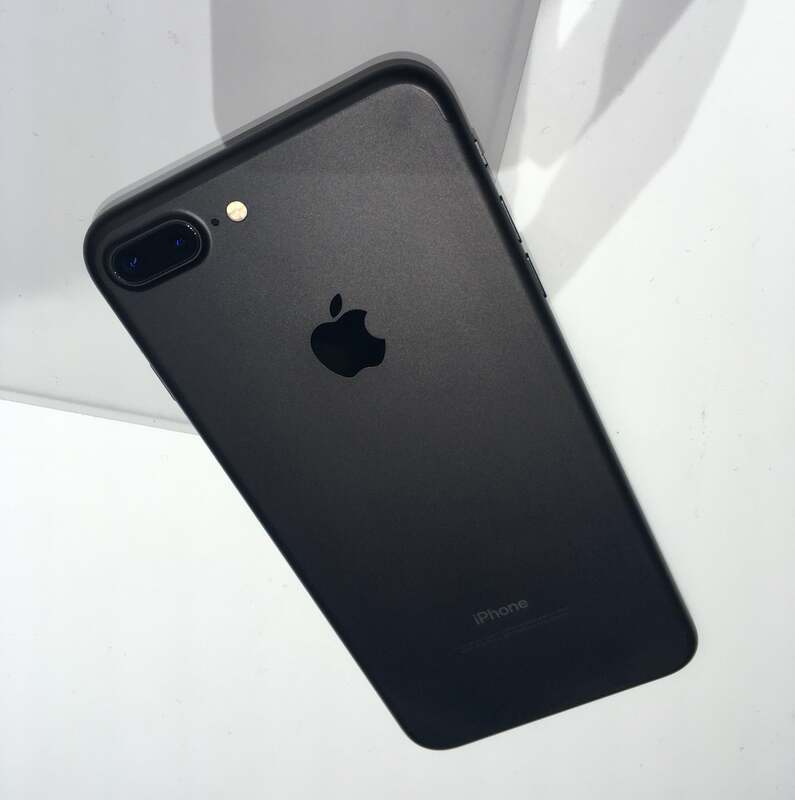 The iPhone 7 comes in silver, gold, and rose gold finishes, but the “space gray” color has been replaced by not one but two versions of black. The matte version is just called black, and it’s lovely, with an almost brushed aluminum effect that does pick up fingerprints, but more on its shiny black Apple logo than on the rest of the device. The highly glossy “jet black” version has a shinier finish, like a grand piano, and it’s a magnet for fingerprints—and maybe tiny scratches too. Apple even has a disclaimer on the iPhone 7 pre-order page: “Its surface is equally as hard as other anodized Apple products; however, its high shine may show fine micro-abrasions with use.” The company suggests you use a case if you’re concerned, but then no one can appreciate your glossy phone. It’s subjective, but I like the matte version better anyway. 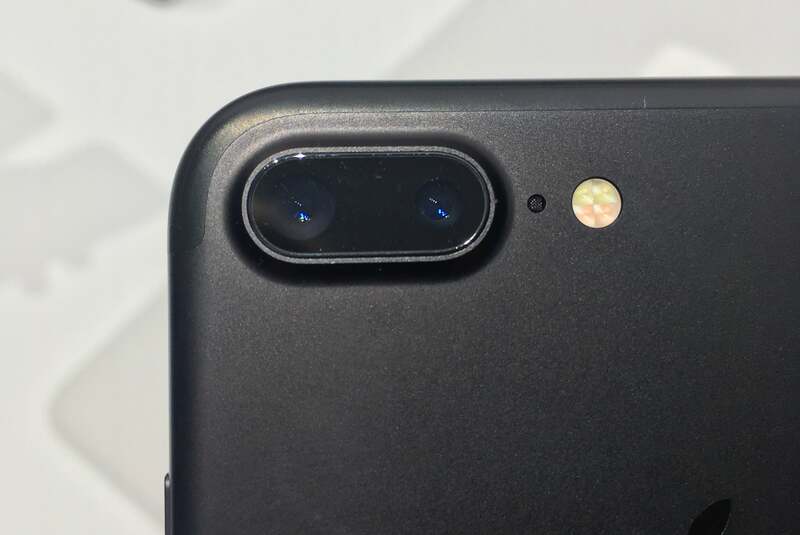 The iPhone 7’s camera still bulges out from the back of the phone, but the bulge rises directly out of the iPhone’s rear panel. 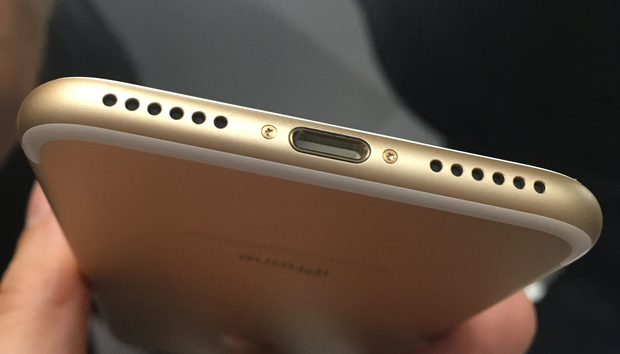 In the iPhone 6s, the camera bulge has an aluminum ring around it that makes it look kind of stuck on after the fact, while the iPhone 7 camera bump looks a little more like it belongs. I prefer the iPhone SE’s design in which the camera is completely flush, but it’s not a deal breaker. The iPhone 7 camera bumps out of the aluminum around it. The 7 Plus has a dual-lens setup: two 12-megapixel cameras side by side on the back. One is the same wide angle as in the iPhone 7, and the second is a telephoto lens. Tapping the 1x button above the shutter in the Camera app switches to the 2x view of the telephoto lens instantly—it’s so fast it’s like you’re using the same camera, not switching between two. Holding the button down lets you push past the 2x optical zoom, up to 10x of digital zoom (in photos; 5.8x when shooting video), although digital zoom enlarges the pixels and thus degrades the image quality. The Portrait mode with its bokeh effect demo’ed on stage won’t be ready until a software update later in the year, for iPhone 7 Plus owners only. None of the demo units in the hands-on area had it yet. Two cameras on the iPhone 7 Plus. The iPhone 7 and 7 Plus have 25 percent brighter screens with a wider color gamut, although the sizes and pixel dimensions remain the same. Every iPhone screen looks great to me, and these were no exception. But the difference wasn’t so noticeable that it would sway me to upgrade just for the extra brightness. Maybe when we get to test the phones outdoors, we’ll see a bigger difference. The matte black color is lovely, and there's a glossy "jet black" option too. Ready for one more thing? This is the first officially water resistant iPhone! Last year’s iPhone 6s had some under-the-hood water resistance, but Apple didn’t advertise it. Instead of shoving ugly rubber plugs into the various ports to keep liquid out, the company added gaskets inside the case and waterproofed individual connections between internal cables and the logic board. Think of that as a beta test of sorts, because now Apple is proudly calling the iPhone 7 splash, dust, and water resistant, with a rating of IP67. That means it should withstand powerful streams of water right on it, as well as dunks in up to a meter of water for 30 minutes. Unfortunately, Apple didn’t provide a dunk tank in the demo area, so that’s another thing we’ll have to test for the full review. Photographers and the accident-prone have the most reasons to rejoice, but personally, I’m not excited enough about the new cameras or the waterproofing to preorder a new iPhone for launch. As much as I like the AirPods (which won’t be ready for the iPhone 7’s launch), the inconvenience of plugging headphones into the Lightning port until then is keeping me in wait-and-see territory, until I find out if the brighter screen and the better camera are really enough to make me screw up my “courage” and bid the headphone jack a permanent good-bye.